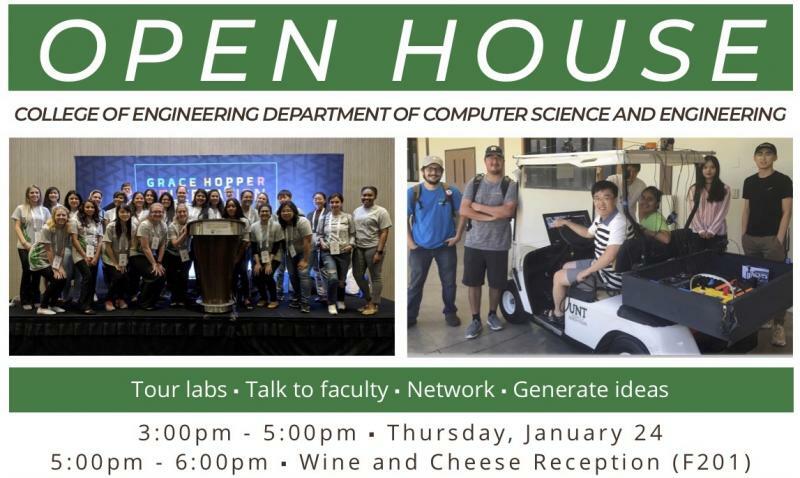 The Department of Computer Science and Engineering will host an open house on Thursday, January, 24th. For more information, please see the flyer available here. RSVP to Cindy.Dutton@unt.edu by January 18th.